electrocardiographic diagnosis. The devices are worn by patients on an outpatient basis for days or weeks and can also be implanted subcutaneously. ECG Holter recordings not only detect rhythmic and subjective events but can also be programmed individually for activation and specific tracing analysis. 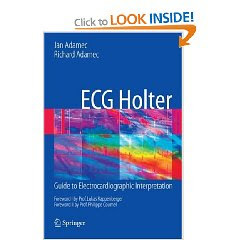 The purpose of this volume is to provide an overview of the techniques, interpretation, advantages and disadvantages of ECG Holter monitoring.